When you have a cow and make your own butter, you will have excess buttermilk. Fresh buttermilk is very different from the cultured variety you get at the grocery — thinner, not as tangy, and with a slightly different flavor than regular whole milk. It makes great breakfast smoothies (buttermilk, a frozen peeled banana and a handful of other frozen or fresh fruit such as strawberries or peaches) and even the small fry, who normally won’t drink buttermilk, clamor for more. 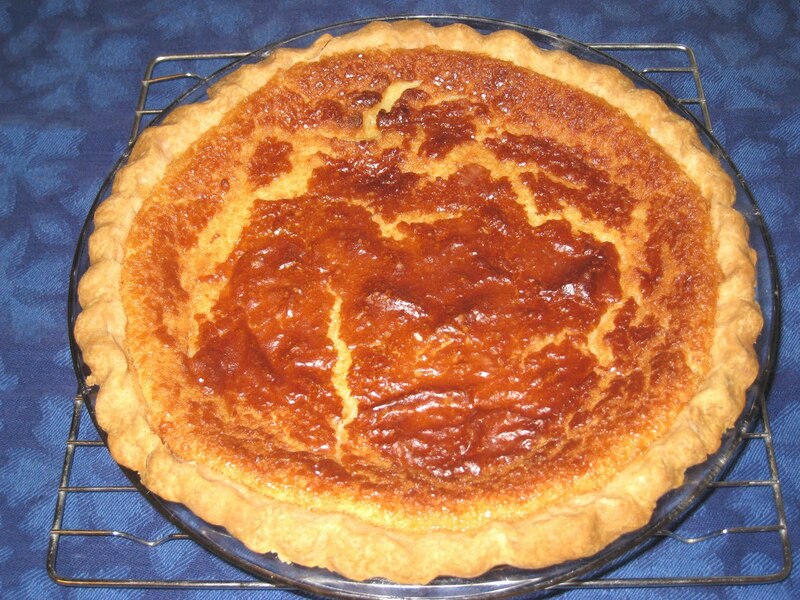 You can also use it for soup or puddings in place of regular milk or make buttermilk pie for dessert. 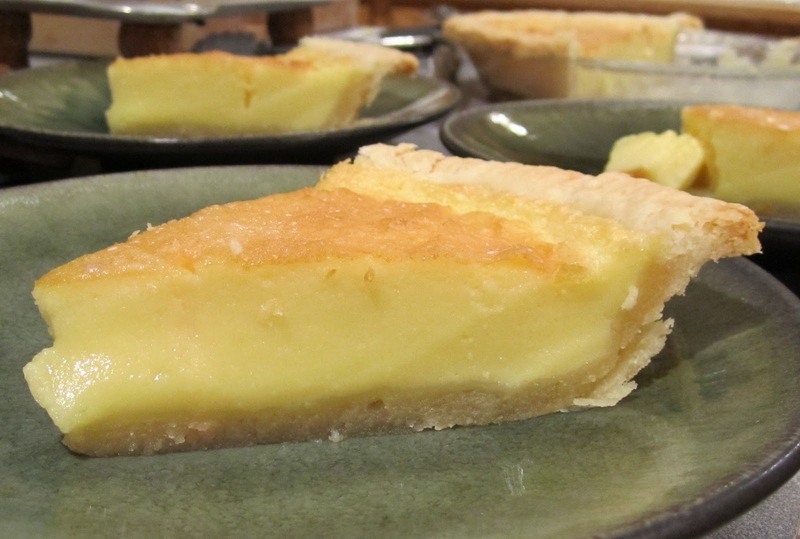 This is a typical custard-type pie and must be made well ahead so it can be thoroughly chilled. If you don’t want to bother with a pie shell, just cook it in the pie pan. Preheat oven to 325 degrees F. In a large mixing bowl, beat sugar, buttermilk and eggs until fluffy. Beat in flour, butter, and extract. Pour into partially prebaked pie shell (one that has been cooked until it is firm and just starting to turn golden brown, about 20 minutes). Bake for 30 minutes, until center tests done. The pie will jiggle slightly when you move the pan, sort of like Jello, and you should be able to poke a sharp knife into the center and have it come out clean. Cool on a rack for at least an hour and then refrigerate. Serve chilled or at room temperature. Drizzle top with warmed fudge sauce. For real decadence, add a scoop of home-made ice cream. This entry was posted in Farms, Food, Recipes and tagged buttermilk, cooking, custard, old-fashioned, old-fashioned cooking, pie, pie crust, recipe. Bookmark the permalink.